Note: This Course was in 2017. 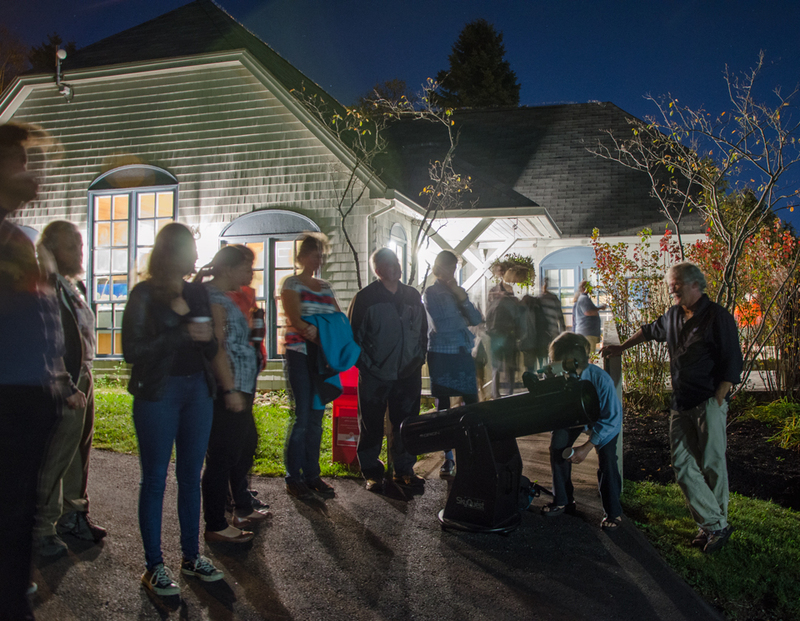 For 2018 please see Explore the Universe Astronomy Course with Curt Nason. Registration: This Course is now closed. 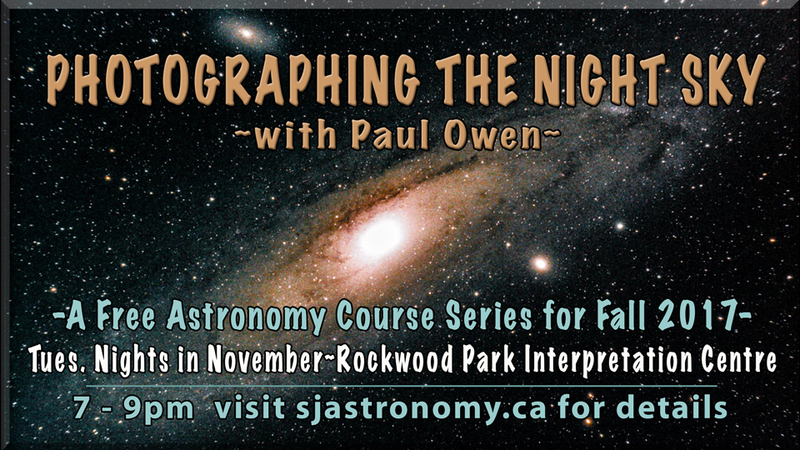 The Learning the Night Sky astronomy course was fully booked. We want to say Thank You to all the people who attended. 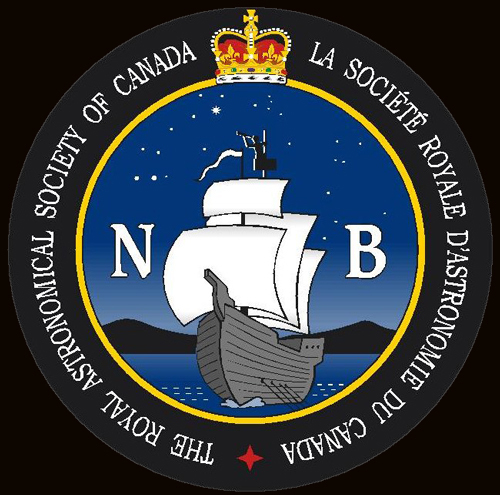 The purpose of this series of presentations was to introduce you to our solar system of the Sun, the planets and their moons, asteroids and comets, and how to observe them. 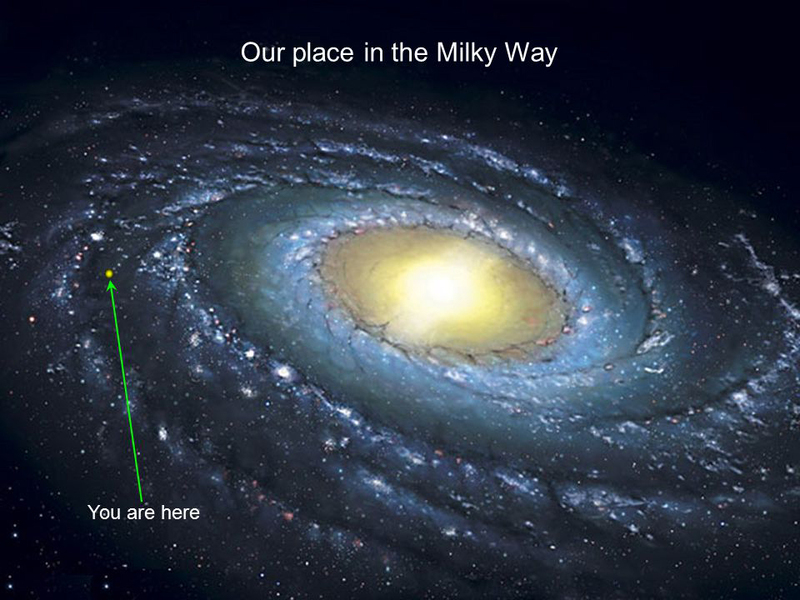 From there we travel much farther to learn about the stars, the constellations and their mythological tales, and what can be seen with binoculars and a telescope. We had planned observing sessions to learn the sky and its hidden treasures after each session. Because of clouds, we were only able to do most of our observing during the breaks. 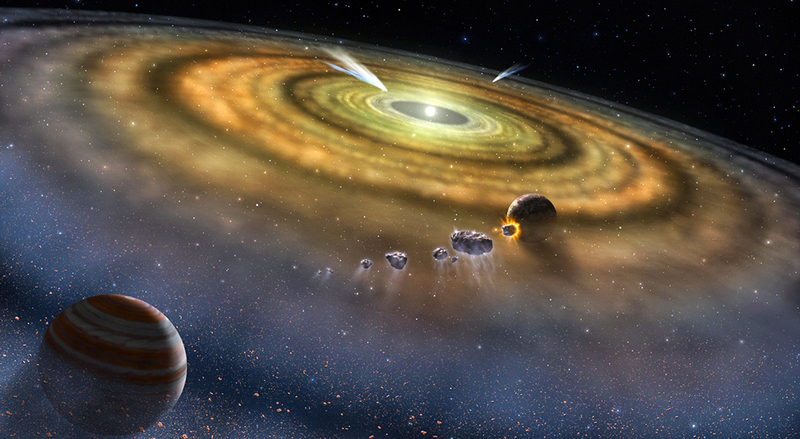 Oct 3: Formation of the solar system, the Sun and the Moon and their interaction with Earth, and our system of time. Oct 10: The planets, dwarf planets, asteroids, comets, meteors, and Planet 9? 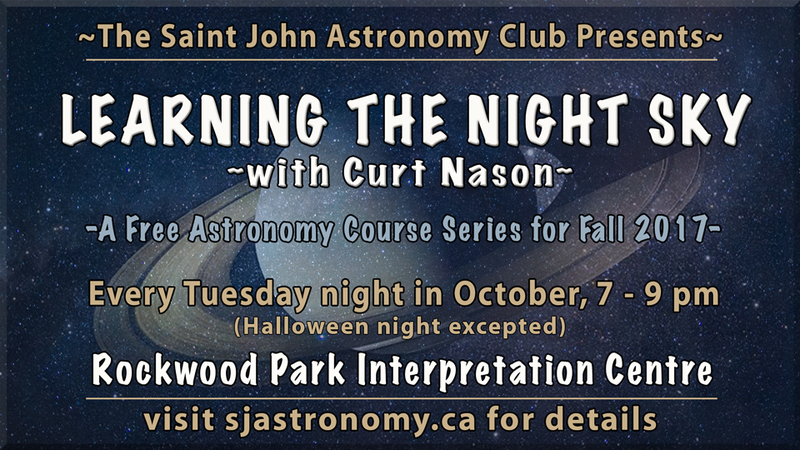 Oct 17: Life and death of stars and what we see of them, reading star maps and recognizing constellations. Oct 24: Constellations and mythology. For more information please contact Curt Nason. Thank You to everyone who attended all or part of the two month course series! We hope to offer more in 2018. Thanks Curtis. See you there! Thanks! Will see you both there. Thanks Linda. Will see you there! Thanks Rejean, see you there! Attending…..thanks to you both . Got it. Thanks Sonia, see you there! Thanks Joe. See you there! Thanks Tiffany. See you there! Thanks Solange. See you there. I will be attending along with one other person! We’re unable to make the first Tuesday in November, but will be at the rest.